If we believe recent rumors, Apple might soon release iPad sibling that will be 2-3 inches smaller than the one available right now. Owing to its 7 inches to 8 inches width, the iPad may not feature a high-definition screen. With its release, Apple aims to thwart Google and Microsoft’s ambitions to dominate tablet market. Supposed to be priced at $199, the new device will sure give both Google’s Nexus 7 tablet and Amazon’s Kindle Fire a run for their money. 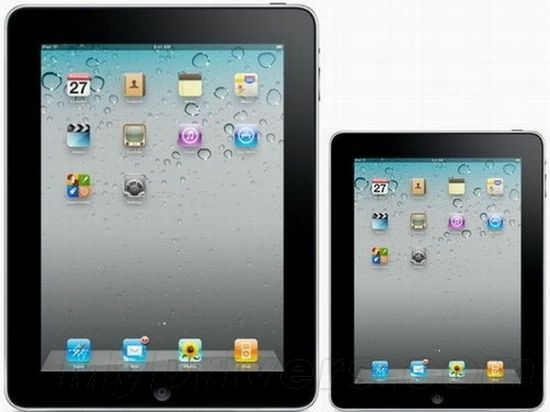 Sources say that the screen of the smaller iPad version won’t compromise on pixel count on its Retina display. Currently priced between $499 to $829, the iPad already enjoys a substantial 61 percent share of the tablet market which helped it earn $66.4 billion this year alone. The release of this $199 device will sure do a world of good to company’s ambition to dominate the advancing tablet market. Trudy Muller, Apple’s representative, refused to comment over the rumor. So, for now, what we can do is wait and watch.